The French and Indian War was the part of the worldwide Seven Years War that was fought on the American continent. France was unable to commit large numbers of regular troops to the war, resulting in heavy use of their native allies to fight the British. The British colonies also utilized native allies, but the bulk of their forces were the familiar redcoats. Each set of John Jenkins Designs French and Indian War toy soldiers represent a specific battle fought during the conflict, with figures representing the varied troops on each side reflecting the often unique mix of forces present on the field of battle. Battles were fought mostly in the wilderness, with a few key engagements occurring at the forts each side of the conflict constructed. 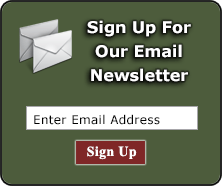 There were no shortage of memorable historic personalities involved in the war, from George Washington and Edward Braddock to Louis-Joseph de Montcalm. Independent regiments like Rogers' Rangers and Butler's Rangers also earned reputations during this war; and not entirely savory ones! 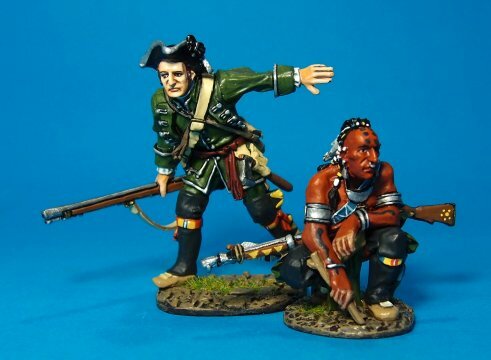 Explore the French and Indian War in hand-painted, historically accurate figures by selecting a category below!